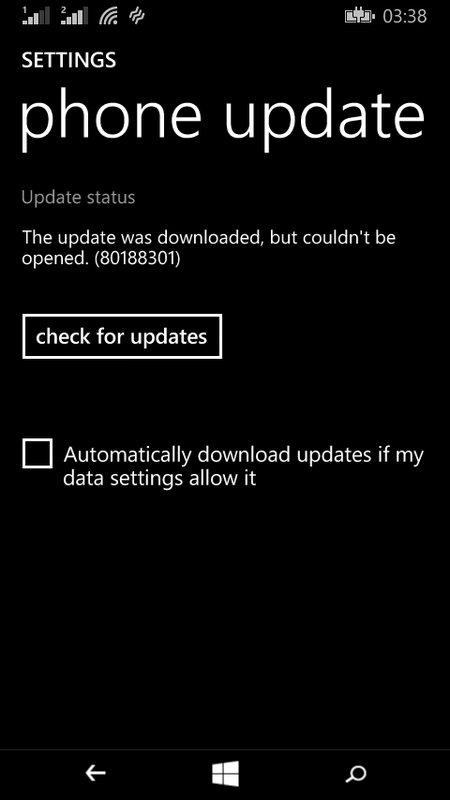 Home / Windows 10 / Lumia 630 windows 10 Denim update error "80188301"
Lumia 630 windows 10 Denim update error "80188301"
As we all know after a long wait,Denim just arrived recently on Nokia lumia 630 in India.Those who are using windows 10 on their lumia 630 and are trying to install the denim update,they are getting error "80188301" which is a package file missing error. First is hard reset your phone by going into settings>system>about>reset (This type of reset will deleted all your data,apps,contacts and every thing.please make a backup of your data).After the reset,just download and install the update. Other way is to downgrade to 8.1 using lumia software recovery tool.Download and install the windows phone recovery tool and now as latest os for lumia 630 India is denim so with this recovery tool,you will get denim "8.10.14234.375" in your phone as default.